Time was running out on Wednesday for anyone trapped in the rubble of a devastating earthquake and tsunami in Indonesia, five days after disaster struck, while increasingly angry survivors waited for an aid operation to move into high gear. 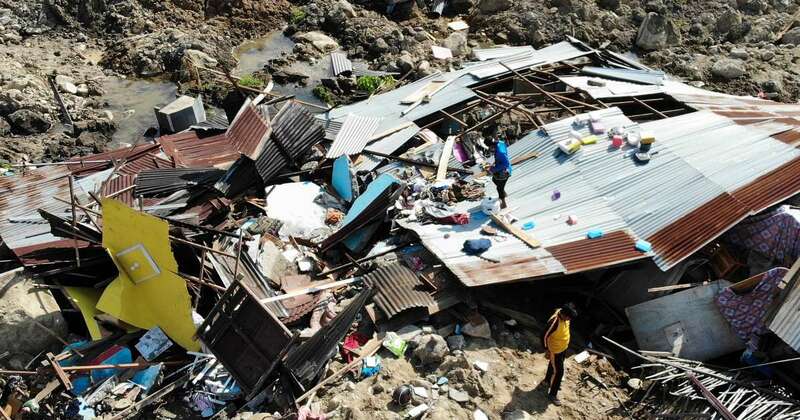 "We hope the death toll does not rise," Sutopo Purwo Nugroho, spokesman of the National Disaster Mitigation Agency, said late on Tuesday. "We're continuing rescue operations but right now the team is racing against time." The quake brought down hotels, shopping malls and countless houses in Palu, while tsunami waves as high as six meters (20 feet) scoured its beachfront shortly afterwards. About 1,700 houses in one neighborhood were swallowed up by ground liquefaction, which happens when soil shaken by an earthquake behaves like a liquid, and hundreds of people are believed to have perished, the disaster agency said. "There is still limited information about the full extent of the disaster and it is difficult to get aid and people into the affected areas," Jens Laerke, a spokesman for the main U.N. aid coordinating agency, OCHA, said in Geneva on Tuesday. "With so many people having lost all their possessions and homes and with many basic services down, there is an immediate need for food, clean water, shelter, medical care and psycho-social support."